Powder rooms create an upscale ambiance in a professional sphere. You may find such rooms in expensive restaurants, posh bars and lounges, theatres, museums, and even some corporations or company headquarters. If your business has a powder room, you want the features to match the atmosphere you’re trying to create. Regular, plain-looking bathrooms sinks just won’t cut it. Instead, you might consider a stunning option such as a glass waterfall sink. What Is a Glass Waterfall Sink? 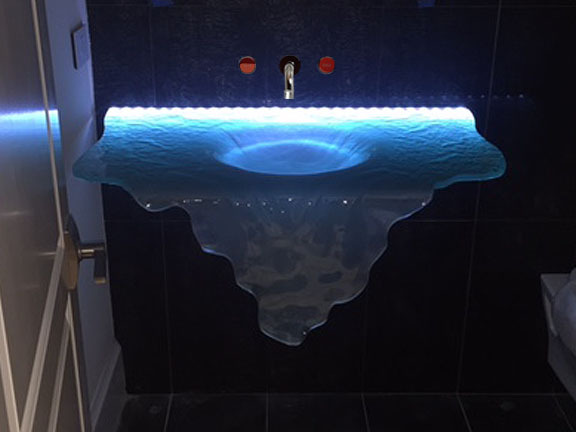 A glass waterfall sink is a design offered by CBD Glass. We’re a Toronto-based glass studio and manufacturer. Our specialties are glass accent items for residential and commercial applications. The rest of our portfolio includes items like wine cellars, glass furniture, glass bricks, enclosures and shower doors, frameless doors, sinks, backsplashes, and countertops. Our glass waterfall sinks are a major seller due to their unique look. The glass is bent and curved to fall down the front of the countertop. In that way, the sink looks like a waterfall. Which Design Options Are Available? When you choose CBD Glass to fabricate your glass waterfall sink, you have nearly endless design options. A popular choice is our ultra clear glass, as this is translucent and like a blank slate. You can then pick textures to make the glass waterfall sink even more one-of-a-kind. Our sky blue translucent glass really makes the waterfall element come to life. Your powder room sink will mimic the real look and flow of rushing water. This will certainly be a winning addition to your commercial bathroom. 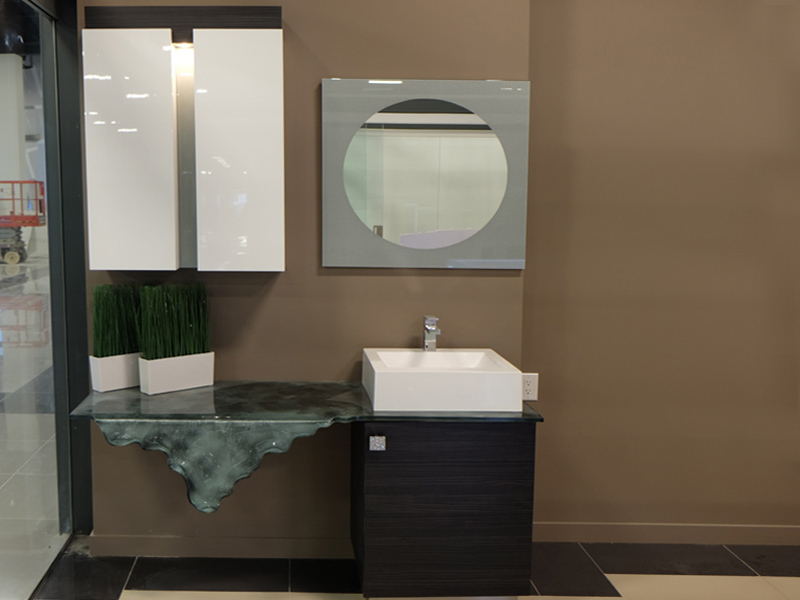 There are many, many ways to make your glass waterfall sink match the décor and design standards already in place in your powder room. You may elect to get the sink mounted into the wall or built into a countertop, for instance. Our LED lights promise all the illumination and long lifespan you get from typical commercial LEDs. You can get years of use without having to worry about replacing the lights. Ready to Order Your Glass Waterfall Sink? 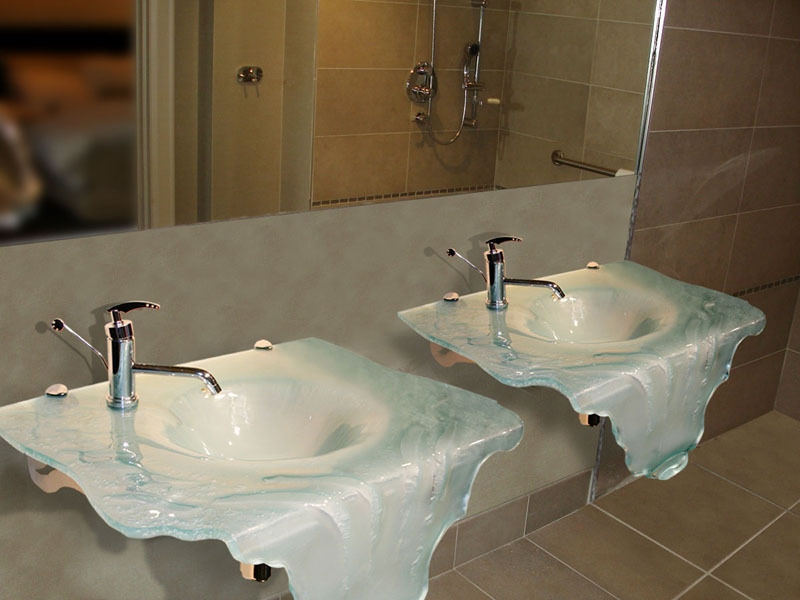 If you’re convinced that a glass waterfall sink will beautify your business’ powder room, then contact us at CGD Glass. We’re one of the only companies to offer glass waterfall sinks. Don’t be fooled by imitators. 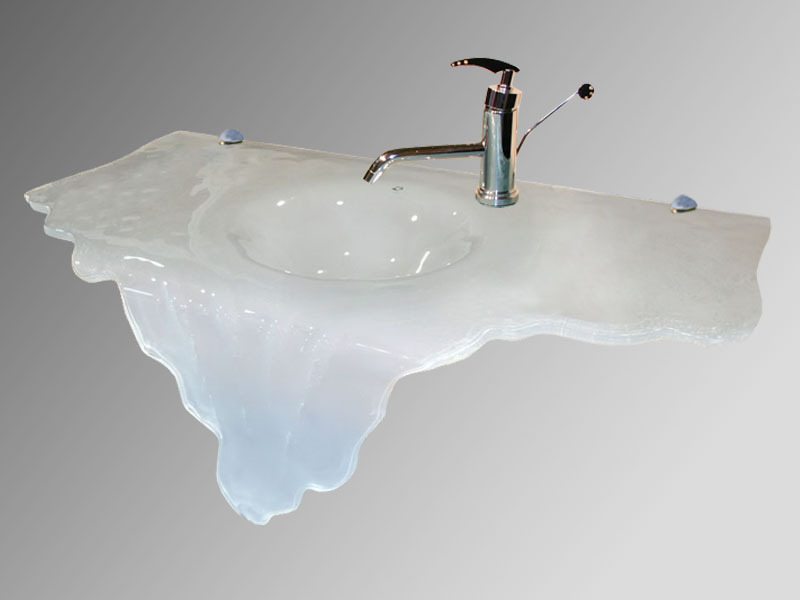 At CGD, you can customize everything about your sink, from glass color to thickness, texture, lighting, and more. You can give us a call at 1-855-872-4223 for more info. You can also visit our website and fill out an online form with as much information about your powder room as you can provide. We’ll then get back to you with a quote.